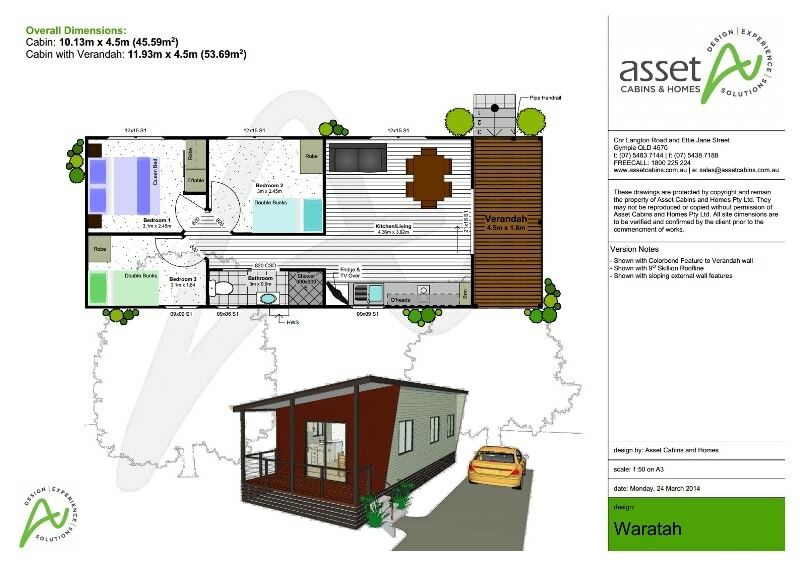 Waratah is an extremely versatile three-bedroom relocatable cabin. Bedroom 2 can take an extra set of bunks or a trio bunk to extend the sleeping capacity from six to eight or nine. The living/kitchen area has ‘home away from home’ space, which could be increased even further by adding a stylish optional bay window.